Our building itself is more than 70 years old, and was initially used as the first textbook printing house for Thai educational institutions. To retain this important link with the past, we have carefully renovated the lovely old structure and given our various outlets names that evoke its former role. Our reception area is on the first floor, and was formerly the main storage area of the old printing house, where paper was delivered and the books held ready for transportation out to the schools and universities, and to the railway station for shipment upcountry. Today you can be assured of a warm Thai welcome from our friendly team! On this level two is the Café and Pantry, a cosy and brightly coloured niche where guests can enjoy a snack, a cooling drink, and a cup of fine tea or coffee. 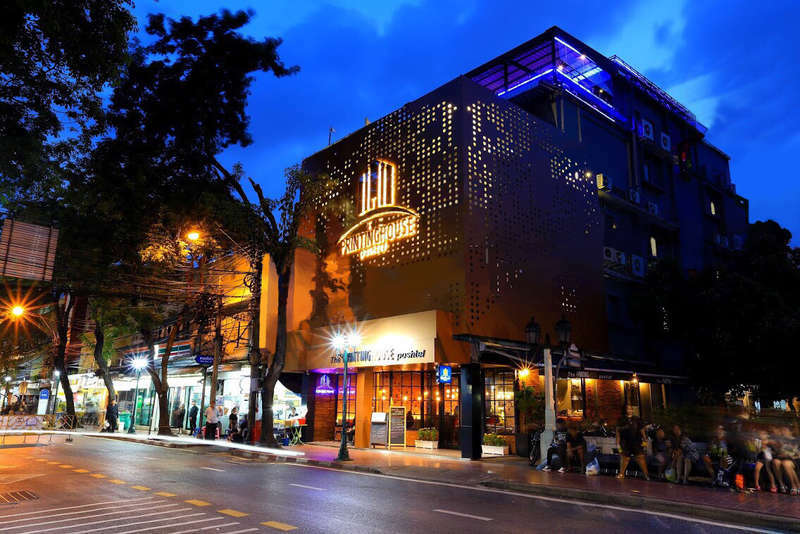 Located in Bangkok City Centre, this hostel is within a 5-minute walk of Democracy Monument and Wat Suthat. Grand Palace and Temple of the Emerald Buddha are also within 15 minutes. It is 32kms from Suvarnabhumi Airport, and 28kms away from Don Mueang Airport. The nearest BTS station is National Stadium for only 5 kms and for MRT is Hualampong station. Tha Chang Pier is 1.6 kms away from the property.